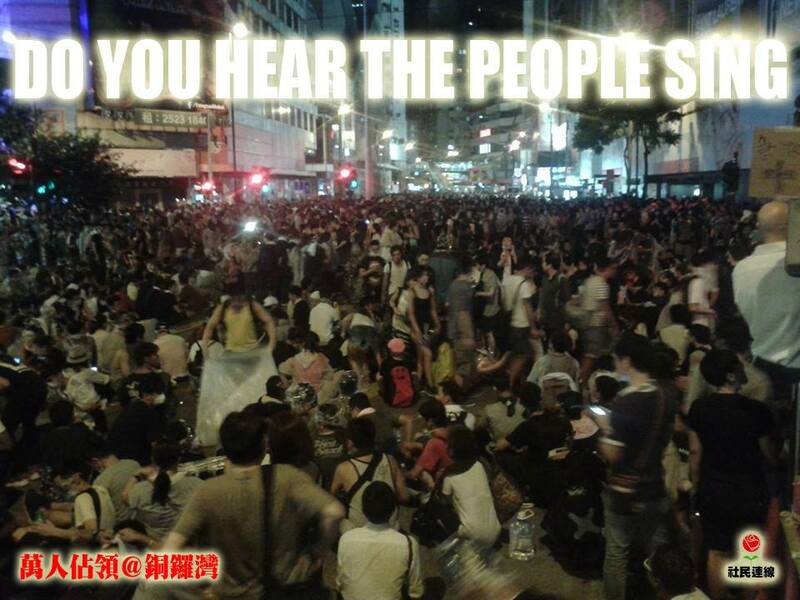 In light of the Umbrella Revolution which started on Friday night, September 26th, 2014, an anthem has been spreading around the networks of Hong Kong. The lyrics are really powerful, and I’ve taken the liberty to translate them to the best of my understanding. If there are any errors, feel free to comment. I will make changes accordingly, thank you. We are crying to be heard. So who has the power to play as God? Why is a beautiful dream still just a dream? Why is it only black or white, yes or no? Why not use right and wrong as a standard? We need to keep our eyes open.